Two years in the making, Gazing with Tranquility unites artists like Flaming Lips and Sharon Van Etten with the music of legendary Scottish folk singer Donovan. 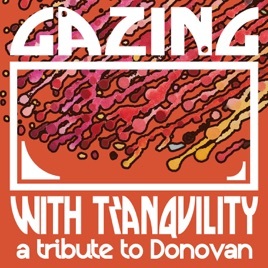 Every song on this tribute does indeed pay tribute: each is refreshing, while calling back Donovan’s prodigious musical output and adding something to today’s musical landscape. It had me going back in time—to rediscover these gems of yore—and listening to these new tracks over and again.